The yearlong Bridgewater Community Dance Series will begin the winter-spring portion of the series on Friday, January 3. 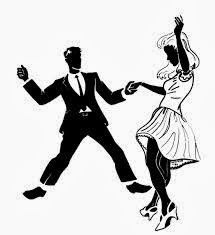 Featuring a mix of international folk dance, and New England Squares and Contras, the sessions are held every other Friday night, from 7:30-9:00 p.m., at the Bridgewater Senior Center. Dancers may sign up for the entire 11 sessions (through May 16) for $66. Single night attendees will be charged $8 per dance.